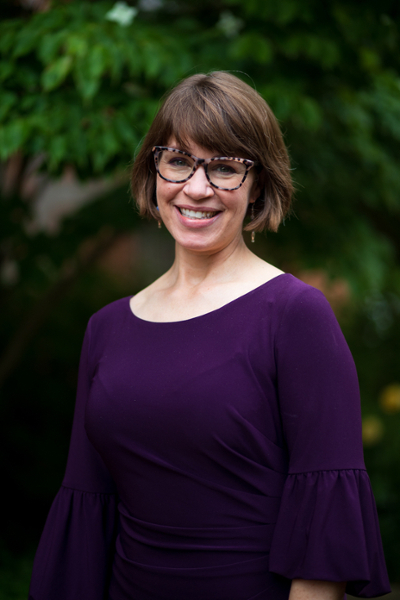 Beth McGinnis taught musicology and piano at Samford for fifteen years before joining the full-time faculty in 2016. She is Organist at Vestavia Hills Baptist Church. As an accompanist her performing credits include Carnegie Hall, Santo Spirito in Florence, the Vienna Konzerthaus and Palais Ferstel, and Birmingham’s Alys Stephens Center. She has published articles on music and the extra-musical and biographical articles for the New Grove Dictionary of American Music. She holds a Bachelor of Music in Piano from Samford University, a Master of Music in Musicology from Texas Christian University, and a Ph.D. in Musicology from the University of North Carolina at Chapel Hill. Beth is also a certified yoga instructor, and teaches classes at the Vestavia YMCA. She lives in Birmingham with her husband, Scott, and two children, William and Kate.